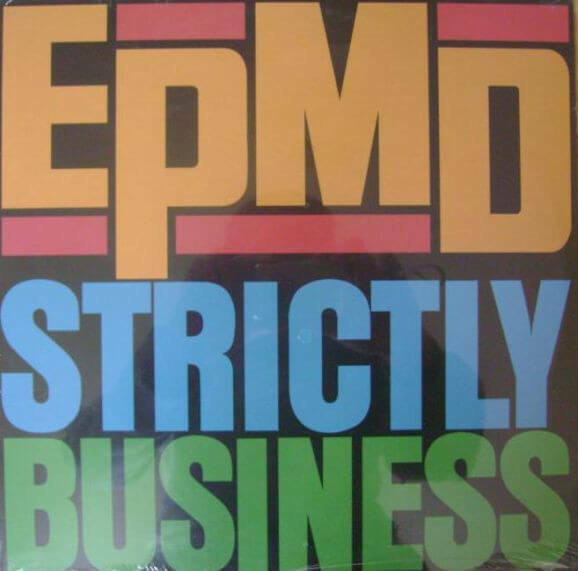 “Strictly Business” is the debut single by EPMD from their debut album, Strictly Business. Written and produced by the duo, “Strictly Business” became EPMD’s first charting single, becoming a minor hit on the R&B charts. Although not a huge success when it was released, “Strictly Business” has since become a Hip Hop classic. The song’s main sample is Eric Clapton’s cover of Bob Marley’s “I Shot the Sheriff”. Other sample’s include “Jungle Boogie” by Kool & the Gang and “Long Red” by Mountain.